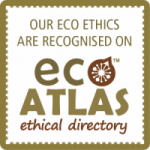 The World Responsible Tourism Awards were established in 2004 “to celebrate the heroes and share the stories of the most exciting and enduring responsible tourism experiences in the world”. Ever since I visited Chole Mjini first in 2001, Jean & Anne de Villiers have been my heroes of responsible tourism. At the time, they lived a Robinson Crusoe lifestyle with their two children, Didier and Maya, on the small island of Chole in the middle of the Mafia Island Marine Park, Tanzania. 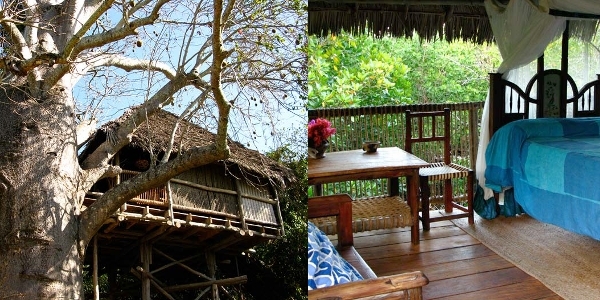 They had just opened Chole Mjini, a intimate island lodge with now 7 treehouse rooms. I fell in love with the owner, their courage, the island & its people, and the lodge. 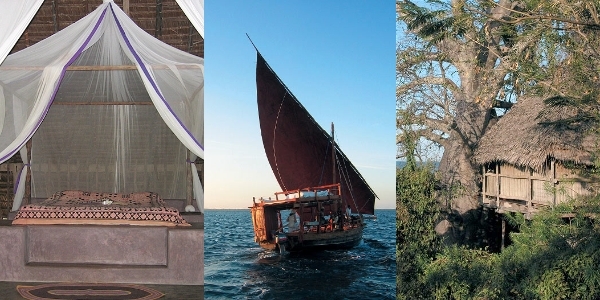 The treehouses are truly unique, built among the mangroves and Persian ruins, open to the elements, and with ground floor bathrooms. Their story of what they achieved on the island through responsible tourism is what I want to share with you and is why I nominated them for the Best for Beach Tourism in the World Responsible Tourism Awards. Chole is a very small island of about 2 km2 with a population of about 1,000 people, the majority of which are younger than 18 years old. Most people used to subsist on farming and fishing, although the latter severely limited since 1995, when the Marine Park was gazetted. Presently, there is a small boat building industry, as well as minor trade in craft and curios. Traditional mat weaving and rope making for domestic use and sale to traders and tourists and the export of oranges, coconuts, octopus and fish also supplement the local economy. The island has no mains electricity or water, and drinking water is piped or transported from the neighbouring Mafia Island. In 1992, Jean & Anne de Villiers started the Chole Mjini Conservation & Development Co. Ltd “to develop responsible tourism that brings real benefits to the community and supports wildlife conservation”. Right from the start all projects have been carried out in close consultation with the Chole council, the elders, and a broad cross section of the community. The village leaders identified education as their priority and a holistic programme of projects to tackle the lack of education opportunities, poor health, and poverty and other issues that all placed insurmountable barriers in the paths of the island children was devised by participatory methodologies. Rather than impose solutions from the outside, the focus has always been on long-term development that empowers the community to manage change brought about by increasing tourism, the establishment of the marine park, and the evolution of Tanzanian national politics from socialism to capitalism and thereby to shape its own, self-sufficient future. Jean & Anne have also been very active in wildlife conservation and the conservation of cultural heritage in the Mafia archipelago. For example, they persuaded the island council to set aside a refuge for the endangered Comoros Fruit bats that are found nowhere on mainland Africa and which, at that time in 1993, numbered only about a 350 individuals in one roost on Chole island. The bats have flourished and today number in the 1,000s and have split into three roosts. The Chole island council now receives significant revenue from day visitors, who come to see the bats. Chole Mjini Lodge opened on 1st January 2000 and was built to limit the impact on the Chole environment, including use of local and sustainable building materials, local craftsmanship and artisans who, where necessary, were trained for the job. The treehouse concept blends in with its surroundings and the lodge is almost invisible from the outside. No trees, including the mangrove forest, were removed to build the lodge or create a beach. Chole Mjini employs almost exclusively local staff and has implemented all the measures that you would expect of a responsible tourism destination such as, fresh water collection and saving measures, solar panels and a wind turbine to provide electricity for the lodge, use of low carbon-footprint fuels, such as coppiced mangrove firewood, use of four-stroke marine engines, and appropriate waste management. The lodge is now the biggest employer on the island, employing about 50 local people. It also has a local procurement policy and raises a bed-night levy of USD 10 per person per night for the development programme. The guests of the lodge also contribute significant revenue for the Marine Park and tax revenue for the development of the District. The Chole bed-night levy is divided between two societies of Choleans that were established 20 years ago by Jean & Anne de Villiers. The Chole Social Development Society and the Chole Economic Development Society enable the people of Chole to set their development priorities and the levy provides a source of recurrent funding for the sustainability of projects. The Chole Society for Women’s Development was established by Anne de Villiers in 2000, to encourage women to take a more active role in the processes of community development. Together these three societies have become a very important vehicle for capacity building and empowerment for the development process, beyond their function of controlling the funds for the development projects and managing the implementation of the projects. In 2010, the Chole Mjini Trust Fund was registered as a UK charity to help raise funding for the ever-growing development programme on Chole. The Trust liaises with the “Harambee (lets pull together) Committee”, a body formed on Chole Island to represent the multiple stakeholders and take responsibility for allocating the raised funds. The principal focus of the Trust is currently academic education, but healthcare, empowerment of women, local history, culture and the environment are all an integral part of the programme initiated by the company founders in 1992. Secured or provided funds to build and establish the Chole kindergarten, primary school with teacher’s housing, Learning Centre, village offices, the Chole Health Centre with staff quarters, market, public jetty and the first library in Mafia District. A combination of research on anaemia, feeding children at the kindergarten, screening and testing children for malaria and parasites, measuring red cell levels, vitamin B and Iron supplements and vaccinations has radically reduced the burden of anaemia on this community, resulting in previously unheard of pass rates by Chole scholars. As children passed through primary and entered into secondary school, a bursary system was put into place and by 2011, 40 boys and 27 girls were awarded secondary school bursaries. Compare this to the situation in the mid-1990s, when only one child ever progressed beyond Form IV in formal secondary education. In 2012, 8 students were supported through tertiary education. Now in 2014 there are five university graduates from Chole Island. In 2010, solar power was installed to provide electricity for the Learning Centre, the Chole Health Centre and the Women’s Market. This also made it possible to computerise the Learning Centre and connect it to the internet. A project was recently initiated to create a photovoltaic micro-grid on Chole Island to provide low voltage power to all households. Chole Mjini Lodge has provided funds for the training of artisans, kindergarten and primary school teachers and also health professionals working in the Chole Health Centre. Chole Mjini Lodge has pioneered responsible tourism in East Africa. Tourism to this lodge not only provides a platform for social and economic development of a poor community in flux, but in the process empowers and builds capacity. The recurrent income from guests of the lodge and day visitors to the island that goes to the societies and island council, the governance experience within the societies, and an ever increasing number of educated young Choleans in the international work place, all argue that the process is now reaching (or has already reached) a point of self-perpetuation. This, together with the fact that this unique programme has sustained for more than 20 years, and is robust and growing in strength, are the most notable achievements. 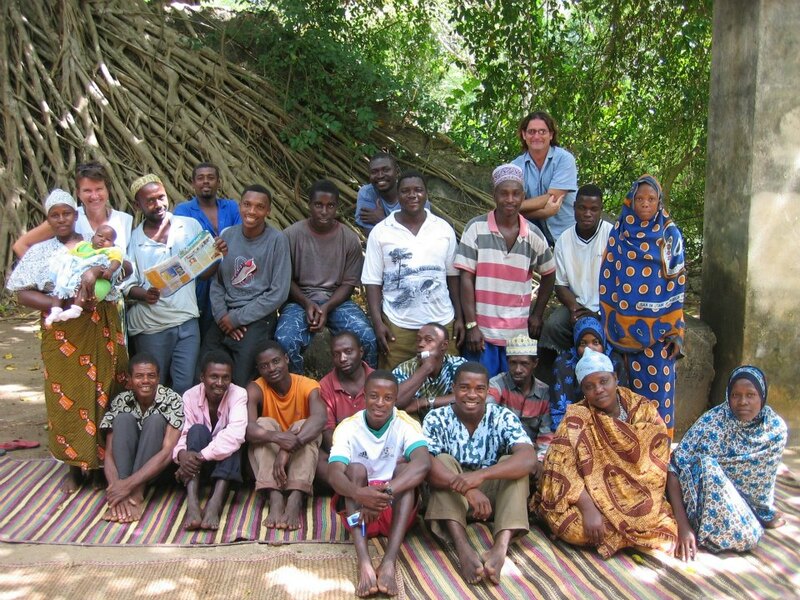 The lessons learned on Chole Island offer a model for other responsible tourism ventures that may be just starting up, on how to establish and sustain a programme of projects to not only help their community, but also empower their community to help themselves, to manage change and shape their own destiny.